Home alone is not really a thing for dogs. They are never happy when we leave them back home; in fact, they are rather bored and lonely. But unfortunately we have works to do and most employers, retail establishments, and restaurants etc. won’t allow dogs no matter how much we would love to cradle our four-legged friends on our hips all day round. Dogs have anxiety issues when you leave them alone. They need constant love and attention apart from food and water at regular intervals. Many pet parents complain that their dogs behave in a disruptive or destructive manner when left alone. Such behaviors usually involve like urinating, defecating, howling, barking, chewing up shoes, carpets or curtains etc., digging and/or trying to escape. And these may lead to self-injury and household destruction. While such behaviors often indicate lack of polite house manners, they can also be symptoms of separation anxiety and distress. Dogs become upset when separated from their owners and as a result separation anxiety triggers. They are deeply attached to their human friends and often become agitated, anxious or depressed in their absence. This is the only reason behind their disruptive or destructive behaviors when left alone in home. The good news is there are ways to help your furry friend to overcome separation anxiety and eventually teach them to stay happy even in your absence. Here are 3 tips to teach your dog to stay happy when home alone. 1. Reward Your Pup for the Right Reasons, Only! According to a South Tampa dogs daycare, pet owners often end up rewarding their puppies for all the wrong reasons and that becomes a habit often leading to separation anxiety. It basically starts when you get your puppy home for the first time. When you take the puppy away from his family where it was born into, it is a big change for the pup. He cries too often, especially when left alone. But when your pup cries, most likely you pick him up to show sympathy and shower your love. And while you think you are creating a bond with the little one this way, helping them to trust you, you are actually rewarding his crying. The same goes for letting him out of the crate when crying. So avoid rewarding your pup for his crying, rather reward only for desired behavior. Teach your puppy to settle down and be quiet for increasing periods of time. Don’t pick your pup up if he is crying for being left alone. In fact, it is better to leave them alone from time to time, even if you are at home to teach them calmness and patience. Reward these kind of behaviors, preferably not by cuddling but by giving him toys to play with. Much to your disliking, you should avoid interacting constantly with your pup to let him learn to play with his toys on his own and entertain himself. Your dog must also learn to accept the crate and understand his limits and boundaries. This is how he will gain respect for his environment and is less likely to develop anxiety issues. It is best to keep your dog busy when you are around as well as when you are not. Start the day with some good, hard morning exercise before you leave for work. What kind of exercise and how much exercise depends on your dog’s age, breed, health and fitness, and the weather. And it is better to consult your vet to understand your dog’s exercise tolerance. The goal is to give him varied physical exercise along with some mental stimulation so that he flops down on his bed to sleep as soon as you both are home. This will allow you to leave the house with a sad dog looking at you and no barking or howling too. In addition, make sure you leave behind some toys to play with when he gets up. Using food-dispensing toys is, in fact, a great way to keep you pooch really happy even in your absence. You can use chew toys or toys like Kong that can be stuffed with his favorite dog food. There are some food-dispensing toys that come with variable difficulty levels. They are a great option to frustrate your dog and keep him active and engaged. For most dogs, successful foraging is equal to a good time. However, it is important to ensure that your chew toys and food-dispensing toys can stand up to pooch’s jaws as not all of them are suitable for a solo dog. Dog daycares are usually great for home-alone dogs. You can drop your dog off in a daycare where they can spend their day in secure play yards, indoor playing areas, and swimming pools, socializing with other dogs. However, if your dog doesn’t enjoy the company of other canines or if you can’t afford the fees of a doggie daycare, consider hiring a daily dog walker. This way you dog will not only have the company of another human in your absence, but can also release excreta under proper supervision. While many dogs can hold their urine and feces almost all day long, it can result in urinary tract infections. Besides, dogs produce highly concentrated urine during a long wait. This increases the chances of crystal formation and cystitis, which can be a life threatening condition for your dog. It is therefore better to have someone look after your dog in your absence, be it a daycare center or a walker. 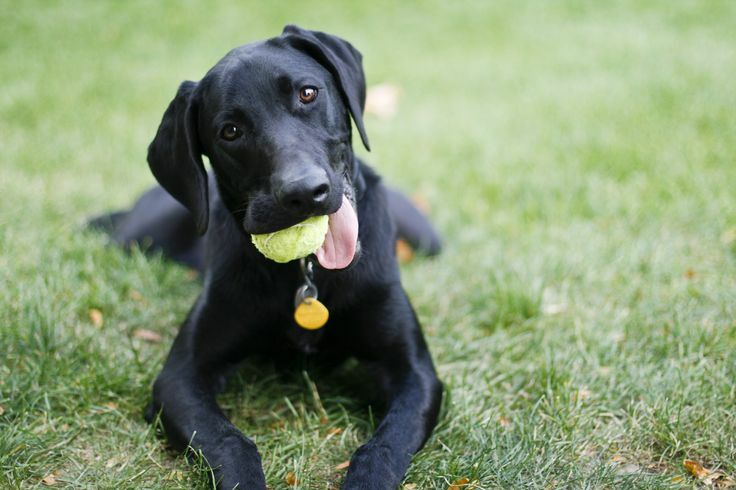 While it is important to teach your dog to entertain himself, you should also understand that your four-legged friend is dependent on you, at least for certain things. Make sure his needs are met even if you are not there. Being left alone should not be a punishment to him, rather an opportunity to explore within his limits and boundaries. And don’t forget to reward him as you come back home; the poor thing has been waiting for you the entire day!